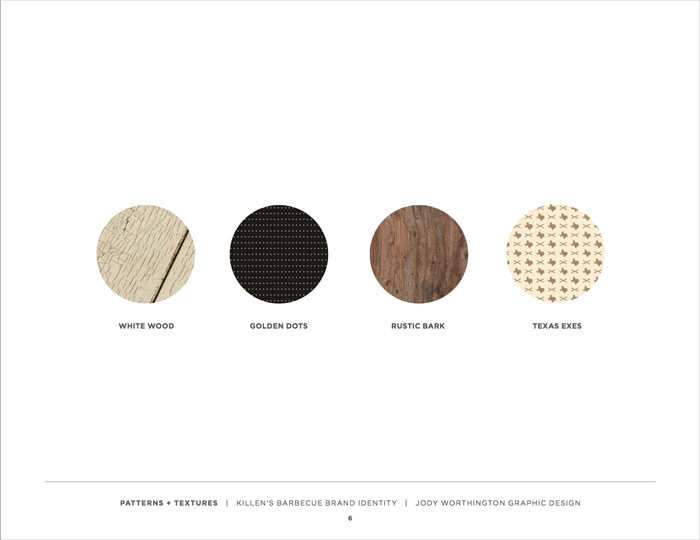 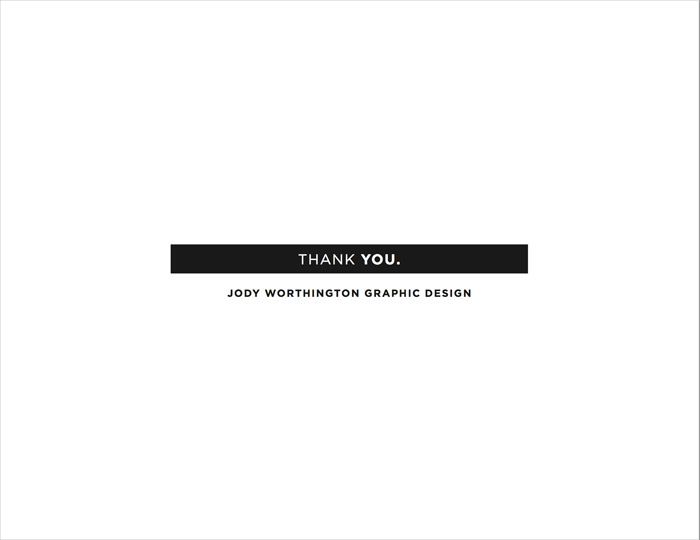 Next up is the first place winner, Jody Worthington, a designer currently based in San Francisco. 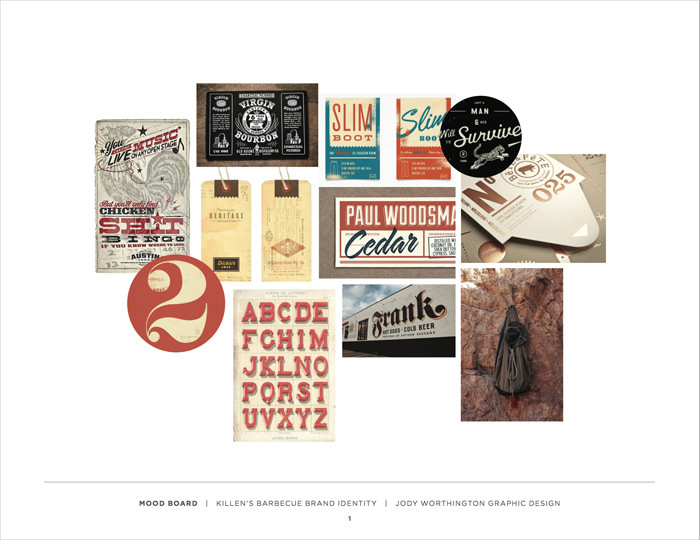 In addition to this feature of her student project, Jody also won all of these prizes and a second post featuring of some of her other work (coming up next). 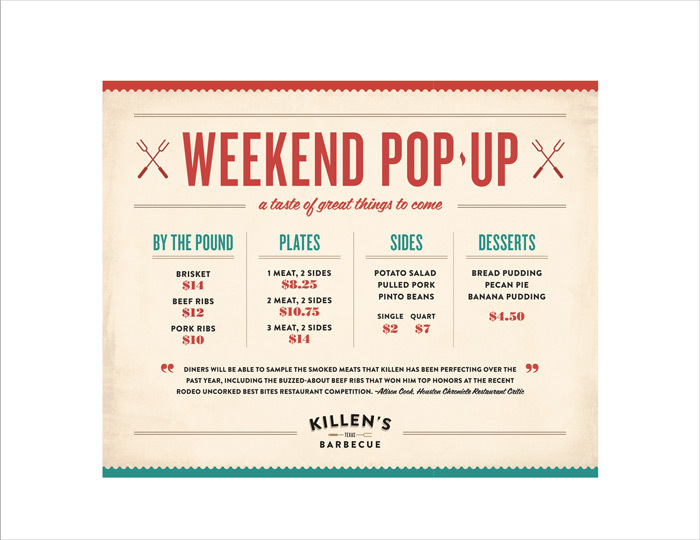 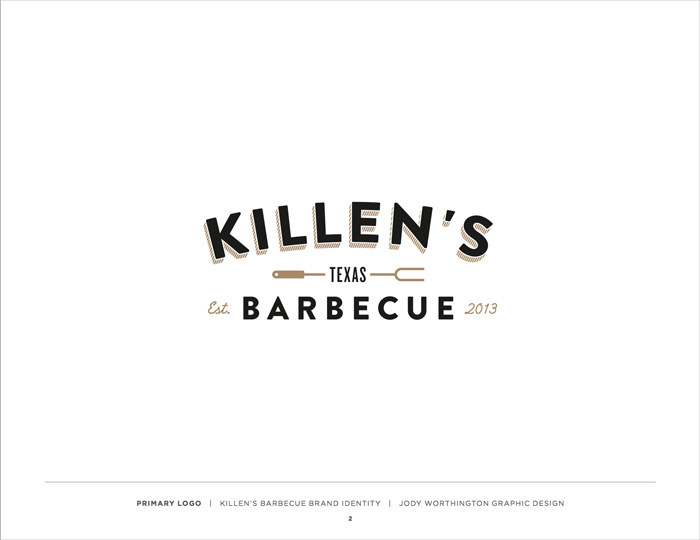 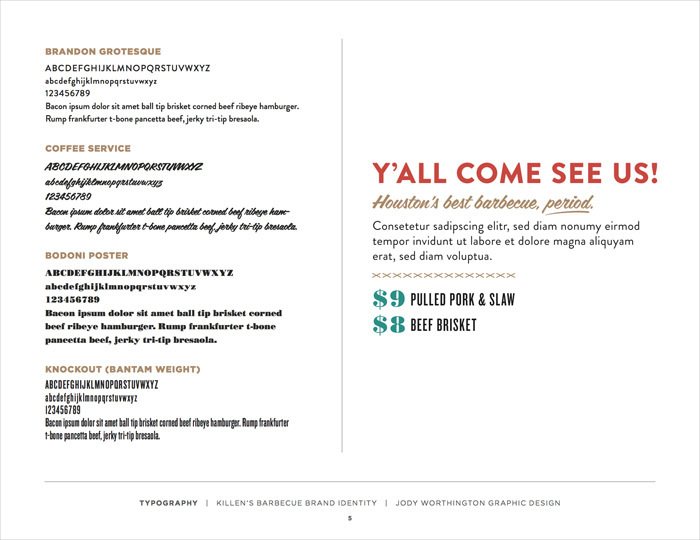 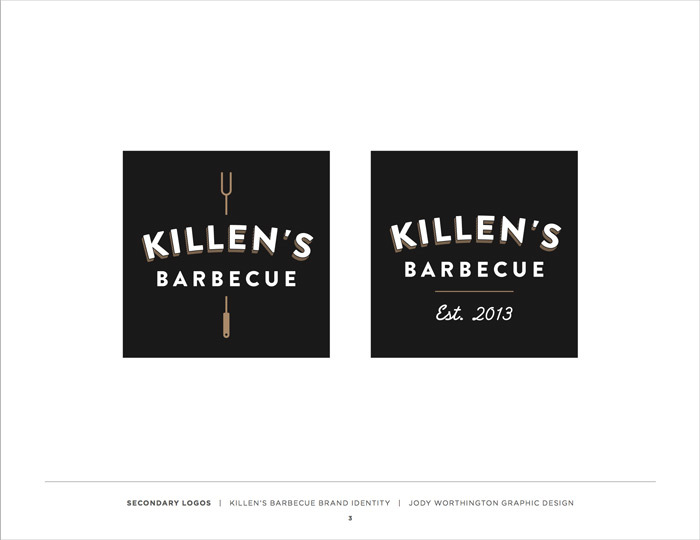 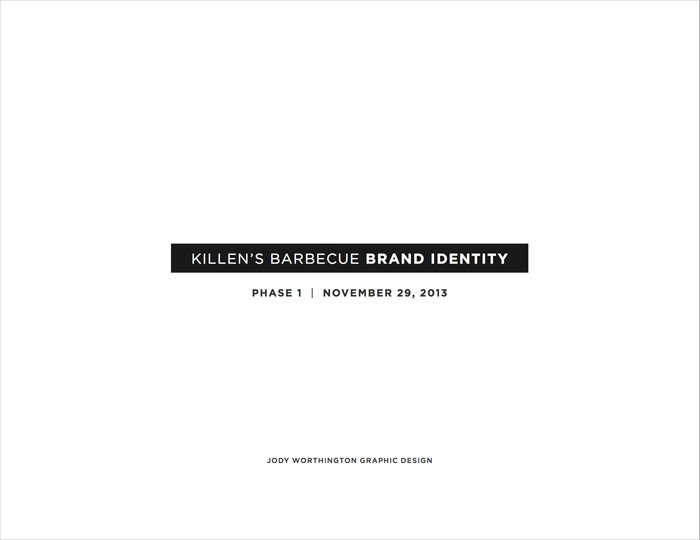 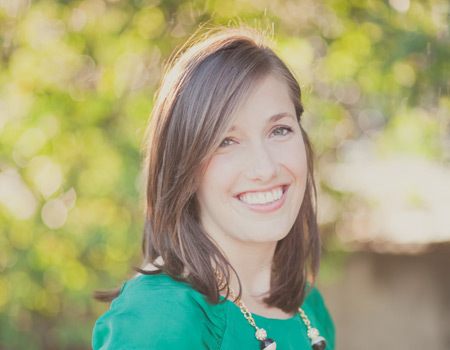 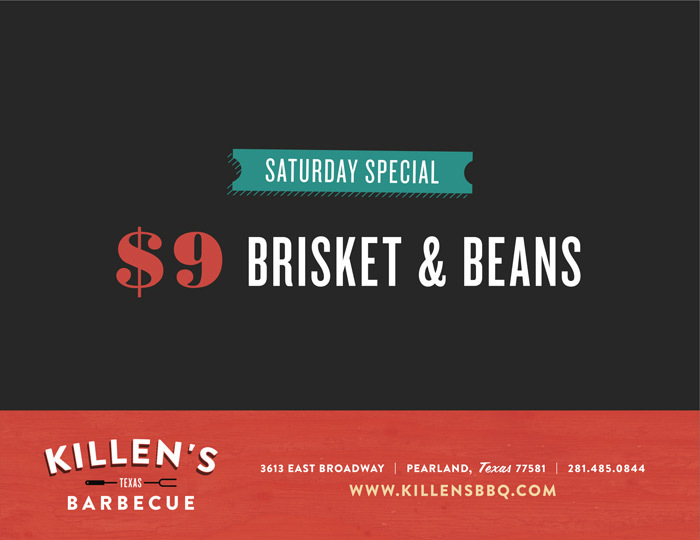 For Beyond the Logo, Jody developed the identity for Killen’s Barbecue, a Houston restaurant that was actually a real-world client she was working with at the time she enrolled in the class. 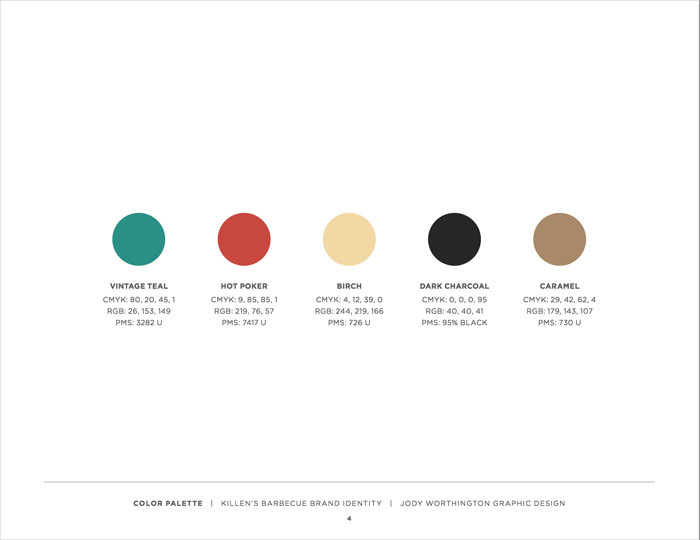 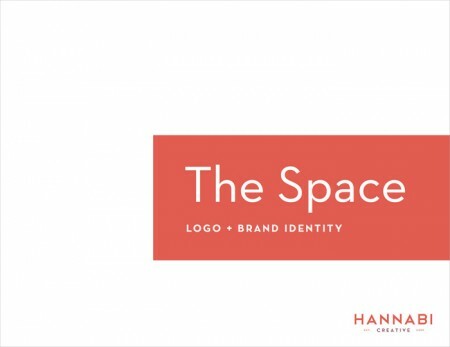 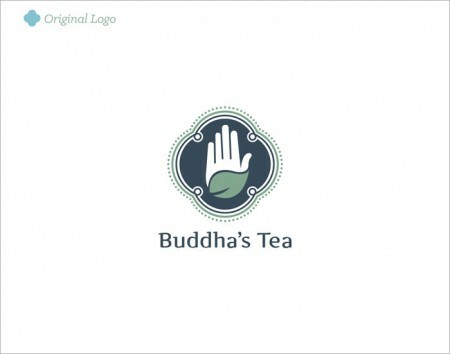 She did an excellent job of evolving the logo into a versatile system of elements that creates both cohesion and visual interest in the brand’s collateral. 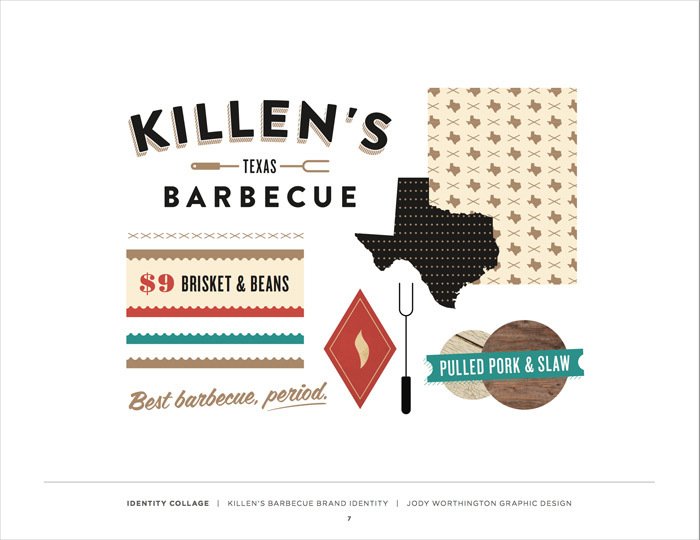 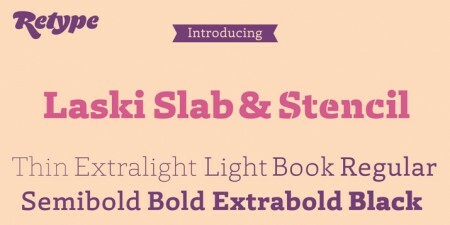 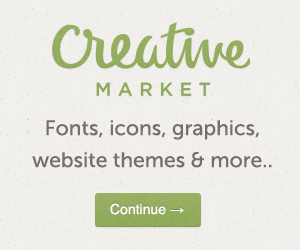 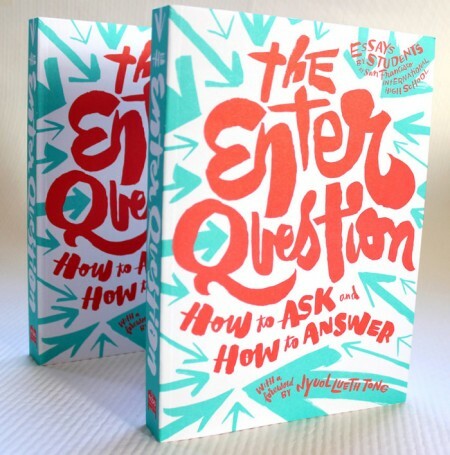 More of Jody’s work is coming up, but in the meantime be sure to check her out on Dribbble and Minted.